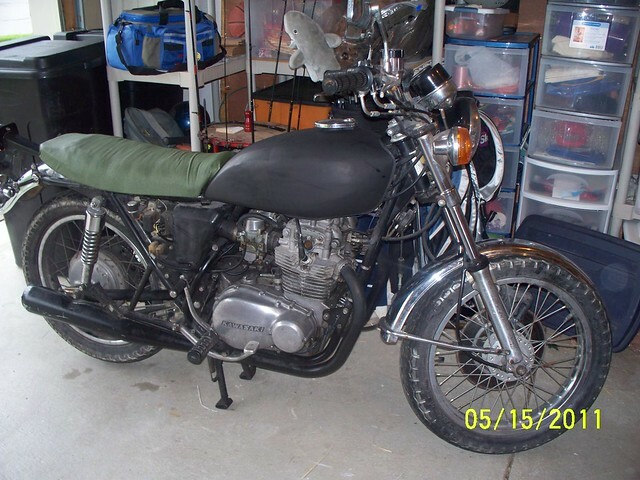 It is a 1976 Kawasaki KZ400. It was not a pretty site, but it had fairly low miles, hardly any rust, it ran fine and most importantly was cheap. But it was ugly, very very ugly. It looked like it had been neglected for quite a while and was covered with dirt, grease, and grime on top of more layers of dirt, grease and grime. At the time I did not realize that there were tons of missing and broken parts on this thing that needed sorted out. My first step was to fix the seat. I was not in love with the green canvas seat cover so I replaced it with black leather cut from a jacket I bought at Goodwill for $7.00. A previous owner had shaved the padding for a flatter look but did not do a great job as it was pretty lumpy. The new cover did not fix the lumps but I decided to correct that later. 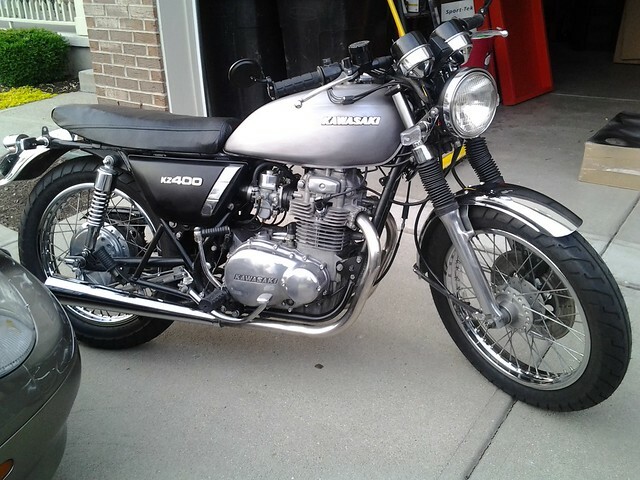 After only a couple of months, some cleaning and much needed maintenance it began looking like a real motorcycle. This was taken around July 2011. 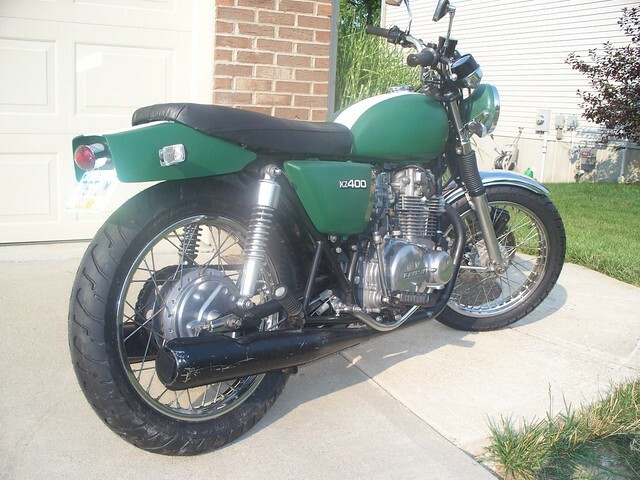 By mid-October I had finished the Basic Motorcycle Course, ordered and installed a few more parts, and the bike was looking even better. However, as seen in the last pic, the tank had started to show that it had a couple of pinhole leaks. I patched them with epoxy which worked fine but it was quite rusty inside so I began looking for a new one. In April I finally found a good replacement tank for a good price and after cleaning it up and putting it on I decided to go in a different direction with the color palette. 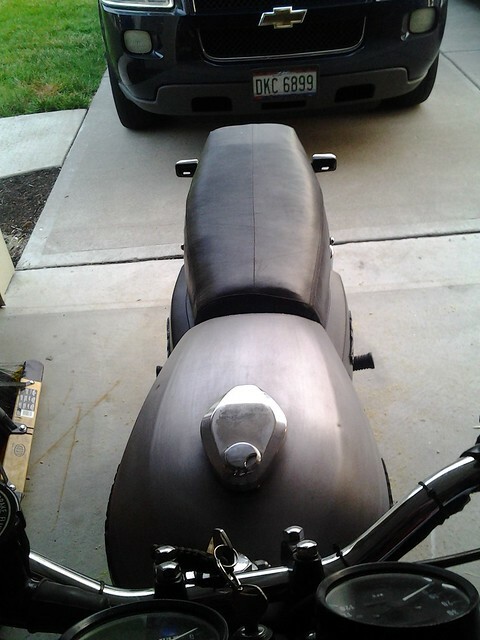 The tank is unpainted with only a satin clear coat and the headlight bucket and side panels were painted satin black. 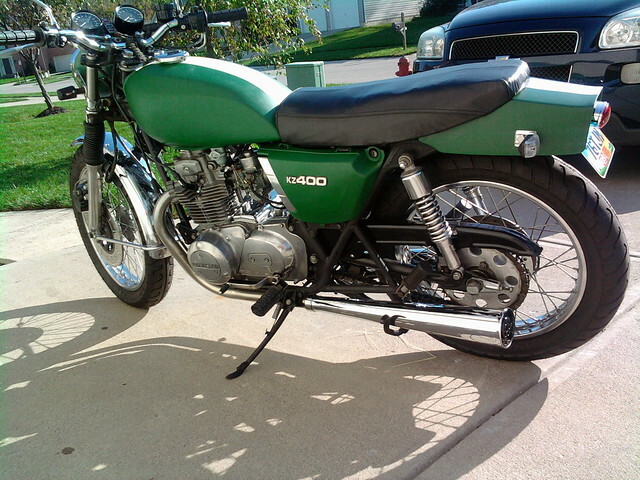 I also removed the rear cowl that I had previously added and reinstalled the old duck bill rear fender. After seeing the latest pics I realized that I could no longer live with the lumpy seat so I removed the cover, sanded the foam to a more uniform shape, and reinstalled the cover. Much better. That’s where my new old bike stands as of today. I left out all the mechanical details like swapping the points ignition for a later model’s electronic ignition, replacing the coil and rewiring it to draw power directly from the battery with a switched relay in between, replacing the old style fuse block and fuses with newer style ATC fuses and block, disassembling and reassembling the carbs half a dozen time to clean them and fix various issues, etc. Words cannot describe the stench in the garage when I drained the obviously original oil in the front forks while changing the seals and dust covers. It “ran” when I brought it home. 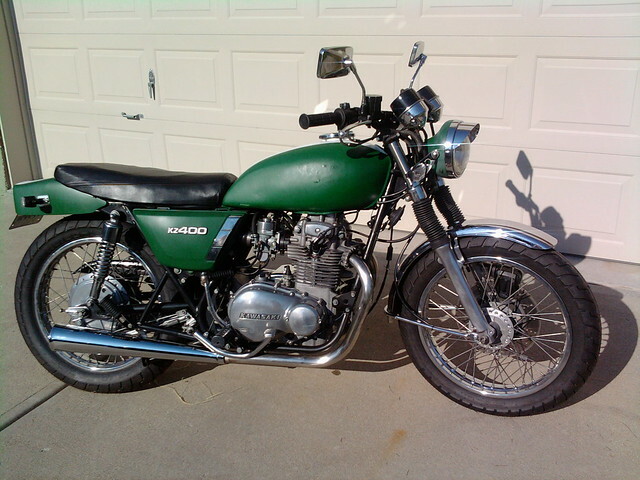 It runs really well now but it still needs a few minor things, like a new throttle cable that is not frayed enough to look like it is about to snap, before I’d trust it for anything other than a ride around the block. 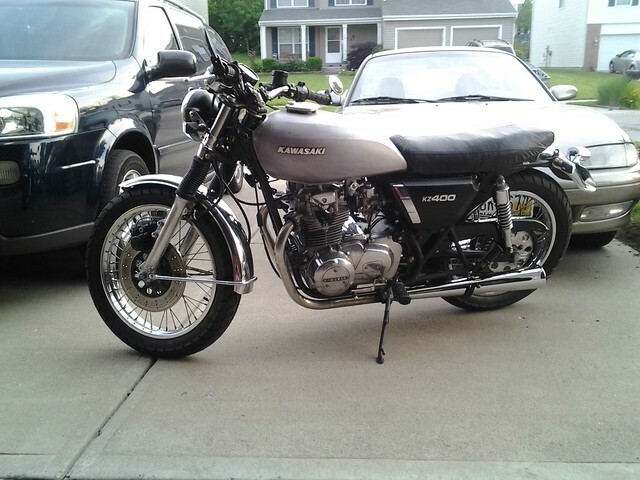 I plan on doing plenty more over the next couple of years but I plan to leave it as-is (mostly) for the rest of the summer so I can spend less time wrenching in the garage and more time riding my new favorite toy.